Happy Fall! 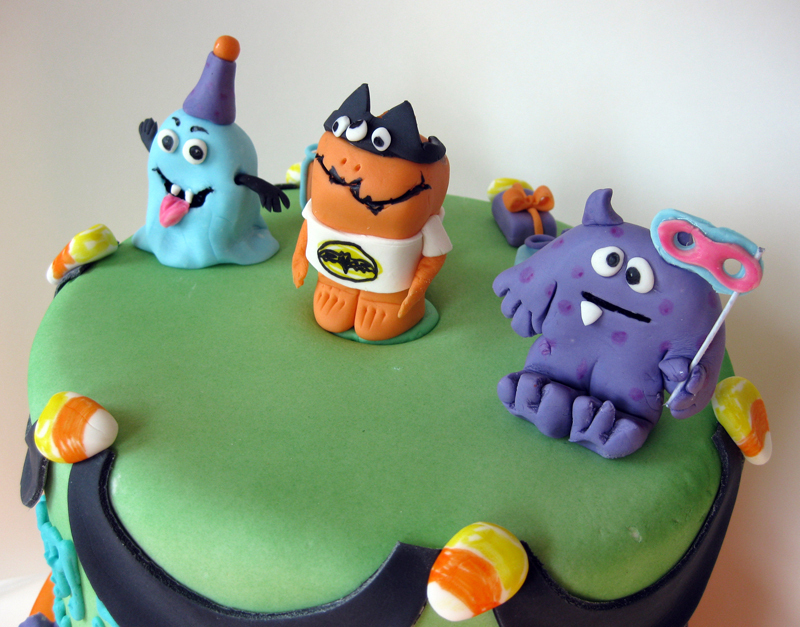 We’ve created a couple dummy cakes (fondant decorated styrofoam) to get into the fall/halloween spirit. 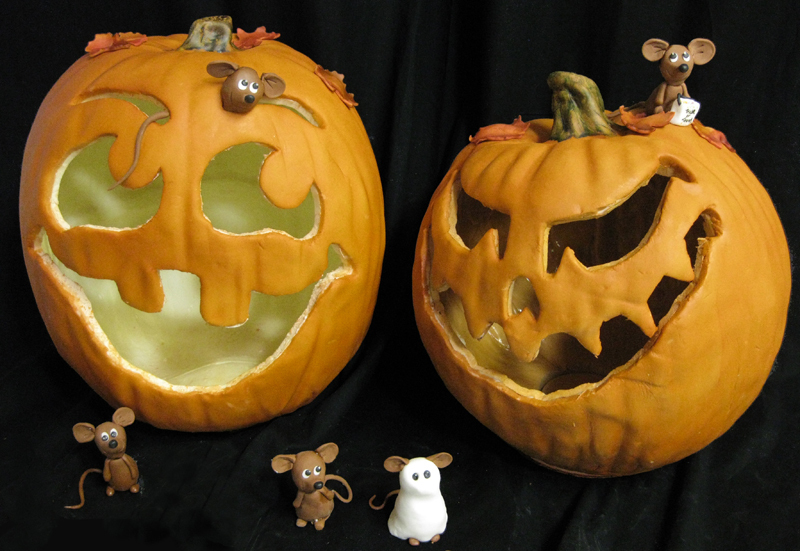 These pumpkins and their mice are living in our shop’s windows. Pass by at night and you’ll see the jack ‘o lanterns flicker. 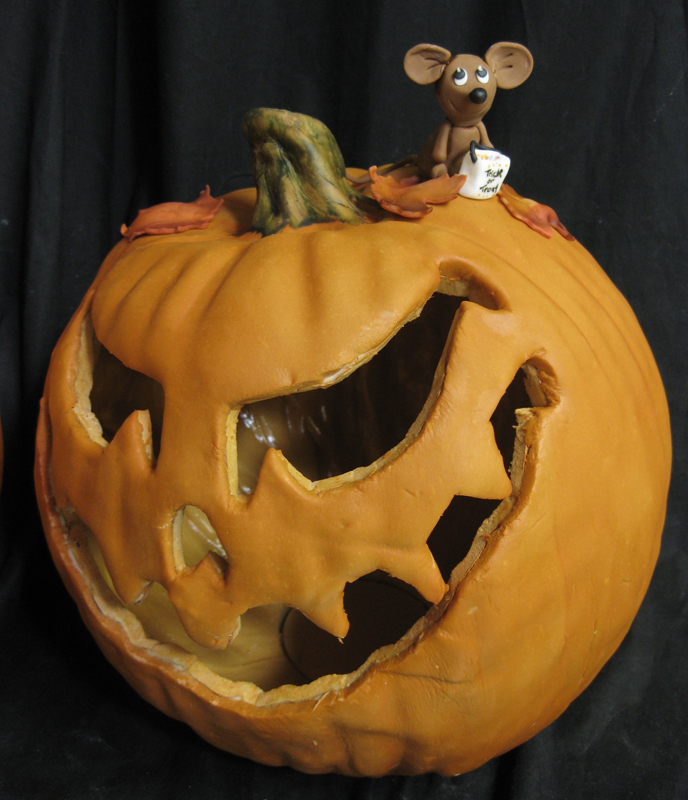 Mice figurines are all made of sugar. These trick-or-treat monsters are super fun. The birthday boy loves to run around in his batman costume so we though it appropriate that we create a monster batman. 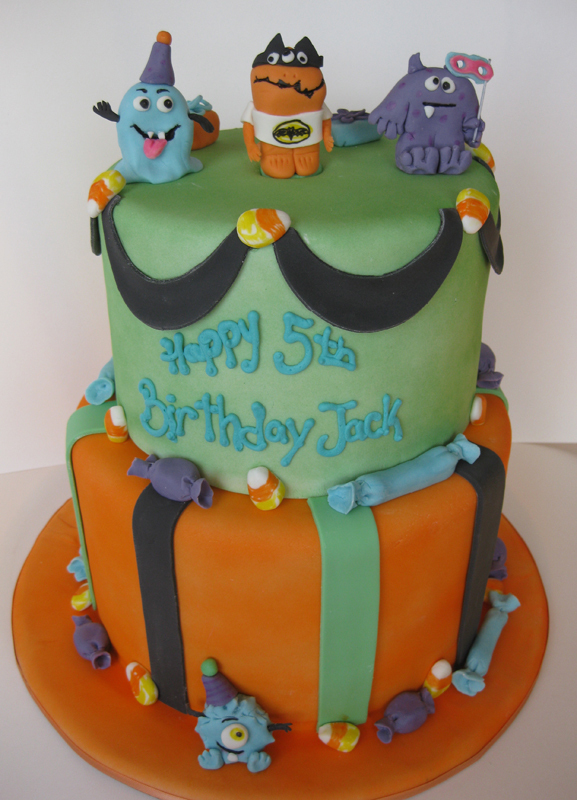 All the candy is actually made of fondant, all edible, wrappers and all! A close-up of the trick-or-treat monsters. 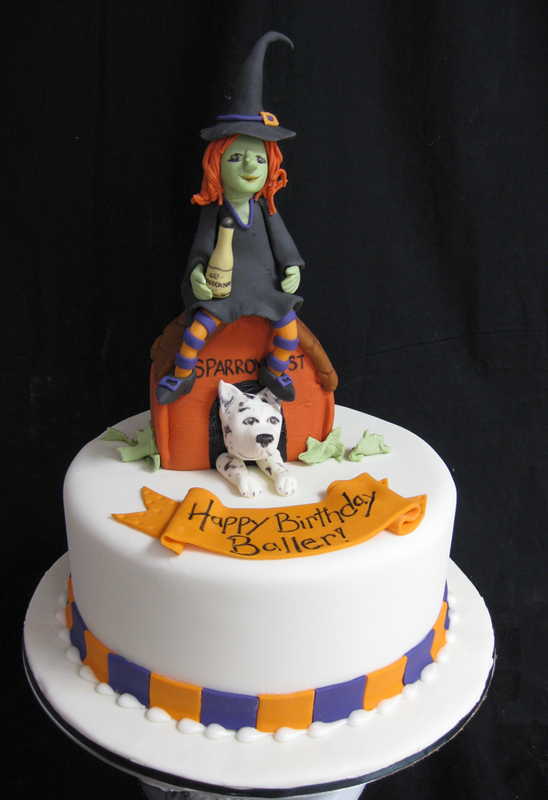 A whimsical twist on a halloween witch cake. Not sure of the entire back story here but we definitely enjoyed creating it. How did you manage the jack o’ lanterns? Did you hollow out a styrofoam ball?